Network attached storage (NAS) devices are not new but they are becoming more functional and more relevant every day. 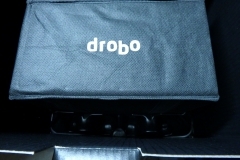 The Drobo 5N is basically a Muppet-proof NAS that works as advertised. One of the main reasons to have a NAS is to share files between different people or devices… Or both. In essence a hard disk that is accessible on the network could be considered NAS but there are more sophisticated devices on the market. 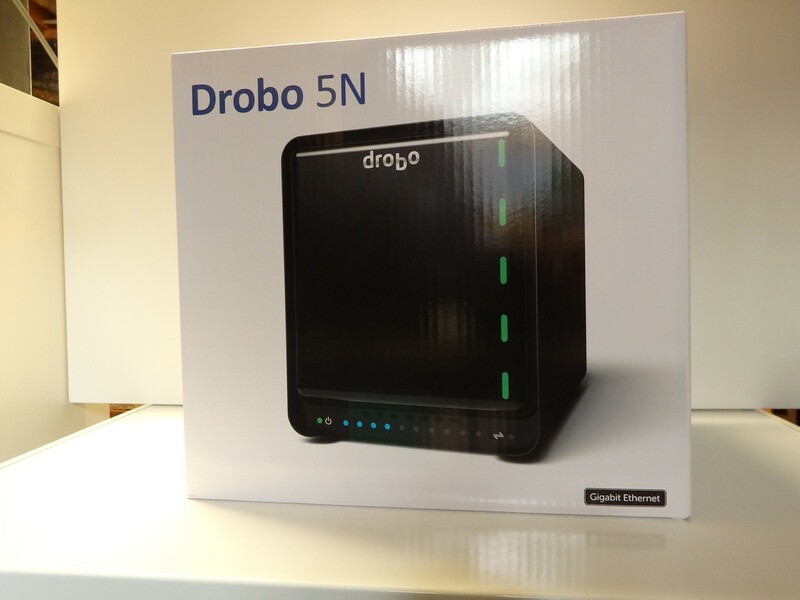 The Drobo 5N is a great example of a NAS with many useful features that has been kept simple from a user perspective. The Drobo 5N meets the basic requirement of storing files and making them accessible over the network but it does so much more than this simple task. 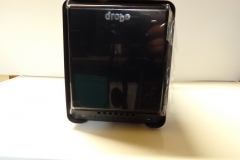 We had the opportunity to set up a Drobo NAS and road test it as a replacement for the home/office style file server that we had been using for about 3 years and it reinforced our belief that every house should have a NAS with the functionality of a Drobo. 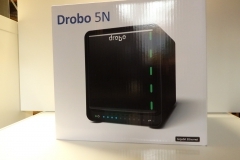 So what is a Drobo and what does the 5N mean? A ‘Drobo’ is a device that holds multiple disks and manages the data to protect it against failure. Some devices are Direct Attached Storage, meaning that the enclosure must be connected to a PC or Mac via USB, eSATA or thunderbolt – other devices that are accessed over the network via RJ45 network port(s) are the more flexible NAS that we are looking at in this article. 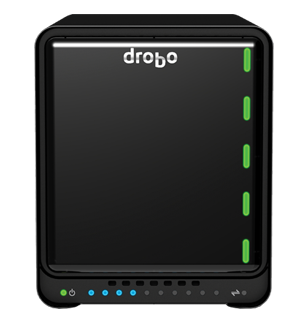 The Drobo website lists a wide range of models to cater for different needs and budgets with the Drobo 5N being a 5 bay device that is accessible via an RJ45 Ethernet network connection. 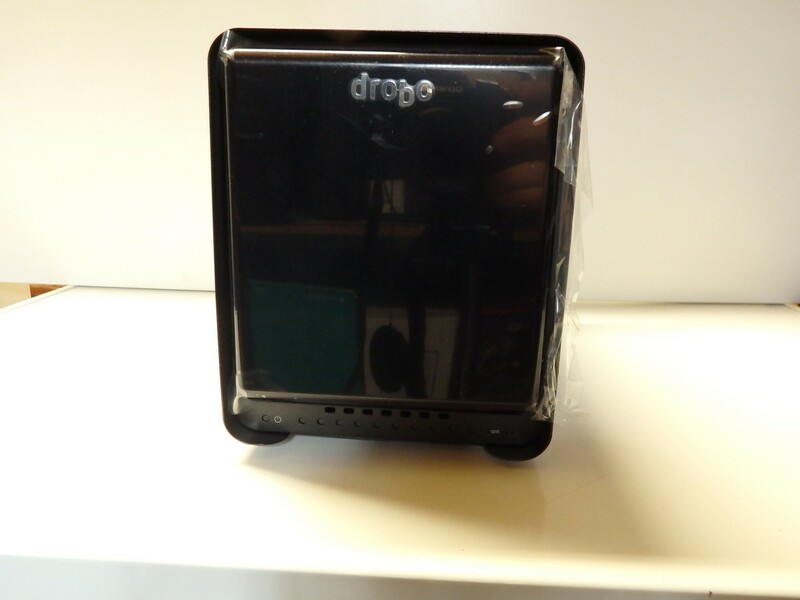 One of the best things about Drobo is that you can load it with whatever disks you have available and it will manage the storage for you, for best results though, we went with a set of Western Digital Red 6TB NAS drives. Physically accessing the hard drives couldn’t be easier. The front panel comes off with minimal effort thanks to some perfectly balanced magnets and there are levers for tool-less insertion and removal of 3.5″ hard drives. The unit itself has a rear fan and we found that it isn’t by any means loud but it is effective and seems to ramp up only when required. The level of heat, vibration and noise will depend on the drives that you use. The older Seagate drives we initially tested with the Drobo made more noise/vibration and certainly ran hotter than the 6TB western Digital Reds that were our “go forward” configuration. We can’t speak highly enough of the WD Reds and we have never had an issue with them or seen one fail first hand to date. There is an mSATA slot underneath the Drobo for installation of an SSD cache. 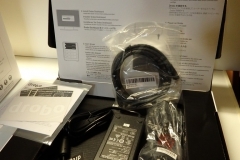 Whilst we didn’t have an mSATA drive handy, we did see the Drobo 5N almost saturate the Gigabit connection without the SSD cache. 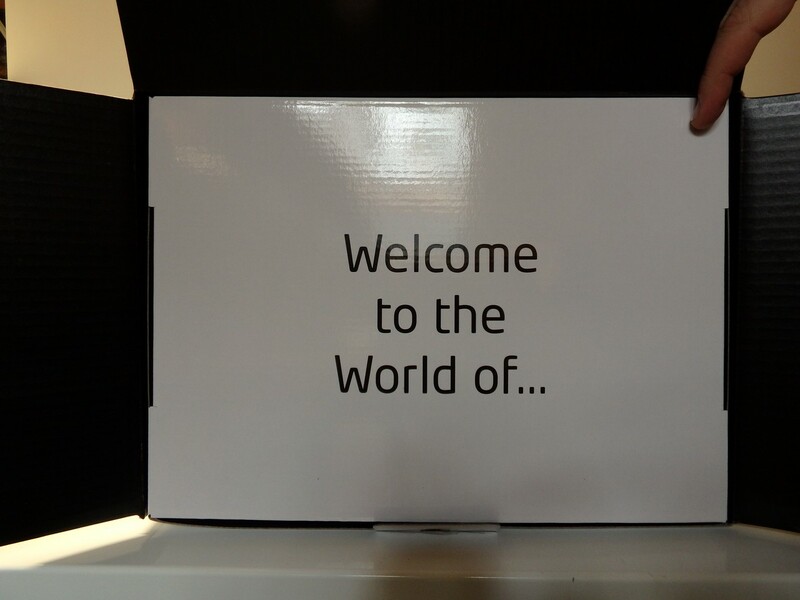 That said, we do plan to test it in the future in a follow up article. 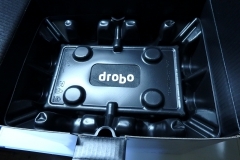 The Drobo has its own operating system and data management logic. You can use different capacity drives in a Drobo without much of a capacity penalty and you can choose the level of redundancy that you want. The default setting allows the loss of one drive without losing any of your data but there is an option for a tolerance level that will survive two failed drives. 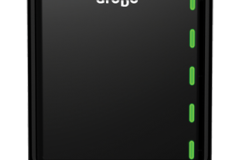 There are status lights on the front of the device that indicate each drive’s health and if the drive is getting full. There is also a capacity indicator and an activity LED. 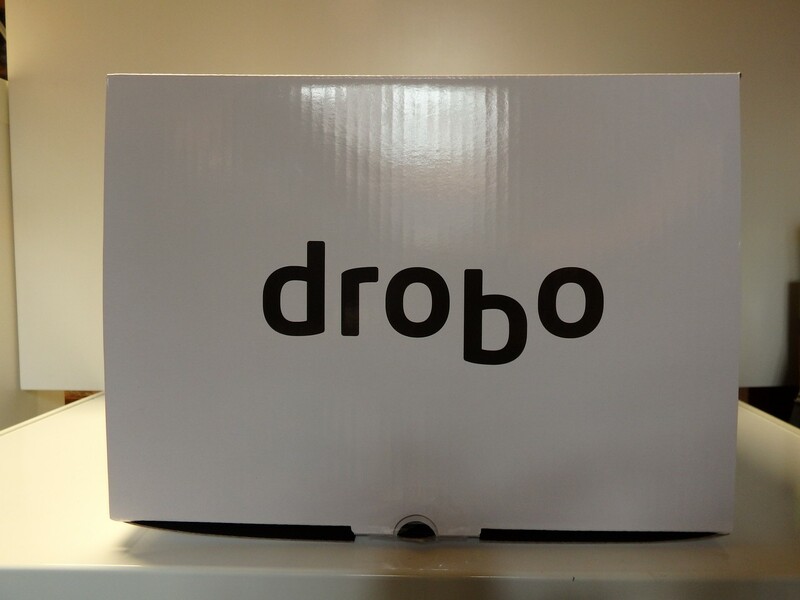 The Drobo can also be configured to email you if something goes wrong – which is handy if you have the Drobo stashed away somewhere safe that isn’t regularly looked at. 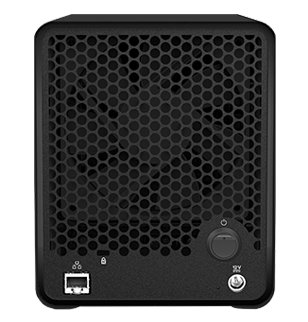 There is an on-board battery allowing the Drobo 5N to safely shut itself down in the event of a power outage. The battery recharges itself while on mains power and we noted that our review unit continued to run, shutting itself down in its own time after we physically unplugged it from the wall. For longer operation, you will need a UPS but for most people, the controlled shutdown that the built-in battery provides should be fine. 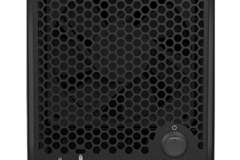 Drobo calls their RAID technology “BeyondRAID” and it allows you to change from RAID 5 level of redundancy (one disk failure tolerance) to RAID 6 level (two disk tolerance) with a single click. 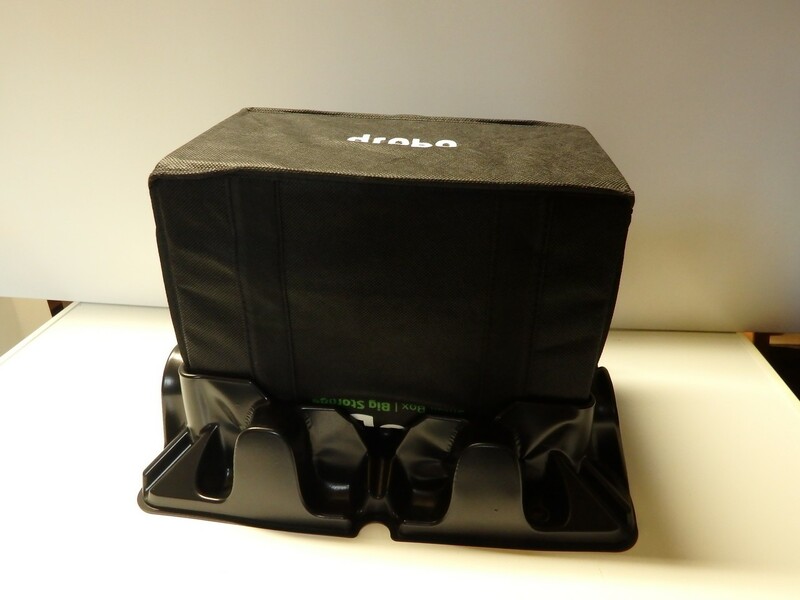 Drobo also lets you expand the size of the array without the need to have a detailed knowledge of RAID technology. If you want to expand the array, it is as easy as removing a drive, then adding another larger drive when Drobo tells you to – it might take a little while but you have access to your data the whole time and you don’t need to rebuild the array. One of the most handy functions is that you can use a mixture of drives which is great for people who don’t have 5 drives of the same capacity on hand. 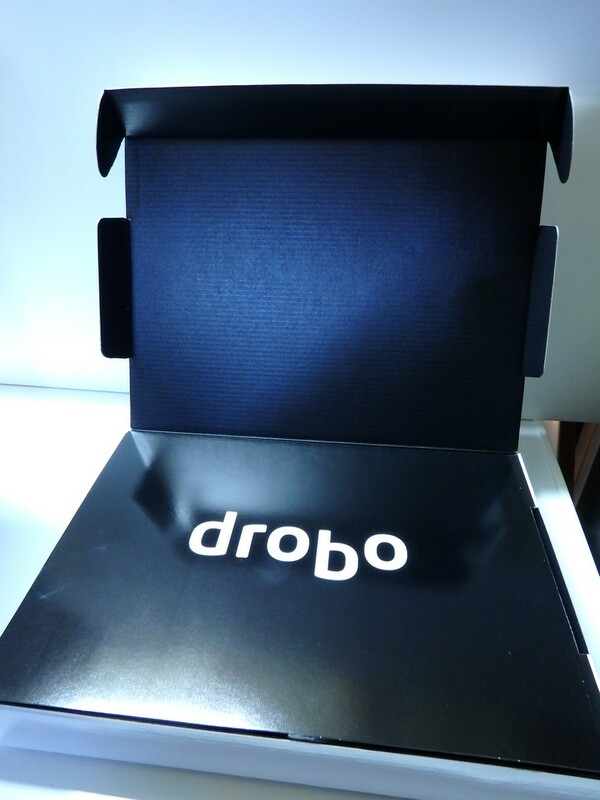 The Drobo will utilise them all with minimal waste of capacity. So we’ve covered off the data redundancy but being able to sustain disk failures isn’t any substitute for a backup. It is a common mistake for people to have a false sense of security with a RAID 5 or RAID 6 setup where they can stand to lose 1 or 2 disks without compromising their data. If the whole device fails, is stolen, damaged by fire, flood, or freak accident, the redundancy of the array will not help if the whole lot is compromised. Fear not – there are a bunch of Drobo apps available and one of these is a Drobo version of Crashplan. Crashplan has been my personal choice of backup solution for a couple of years and the enterprise edition is also used by some very large corporations. There is a mobile app and a web portal that allows you to access your backed up data from the cloud as well. If your data backup strategy is a little light or non-existent, check out the Crashplan website. With the Drobo taking steps to minimize the risk of data loss due to hard drive failure and providing an easy way to achieve off-site backup we move on to the critical area of accessibility. 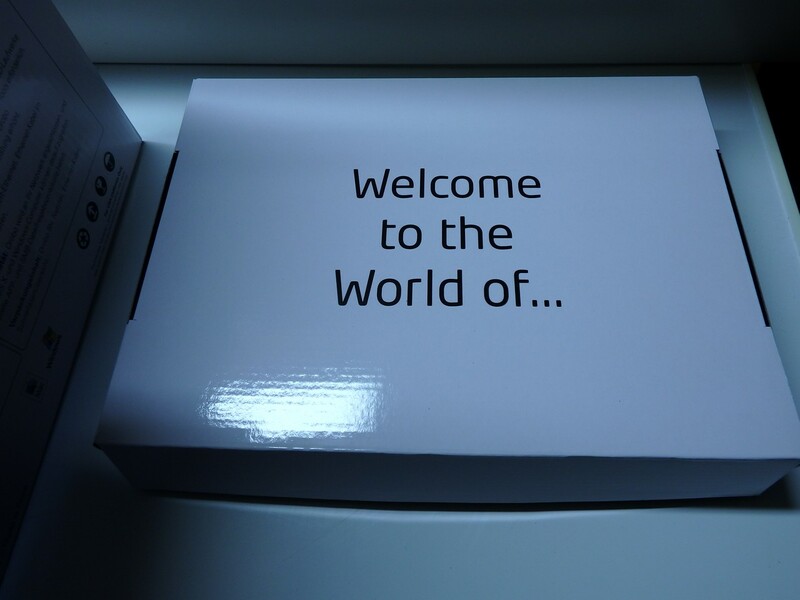 Drobo makes access to its contents really simple through the Drobo dashboard application. 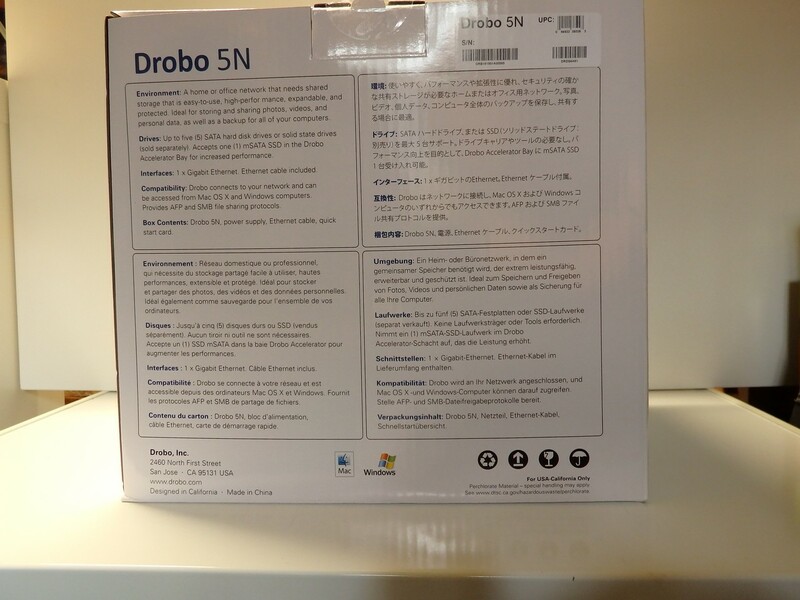 It is important to note that Drobo is a simplified NAS operating system so if you like to tweak, tune and highly configure your storage array, Drobo might not be for you. 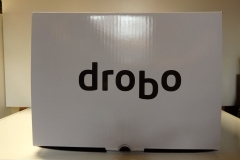 Alternatively, if you want something that you can setup, create shares and define access within an hour of getting it out of the box, Drobo is a worthy contender for your cash. The dashboard application also automates drive mapping to defined shares so that Windows will mount them on start up. 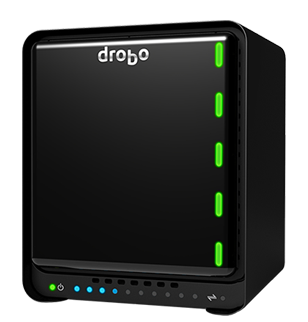 Remote access is also available through the appropriately named “Drobo access” application. 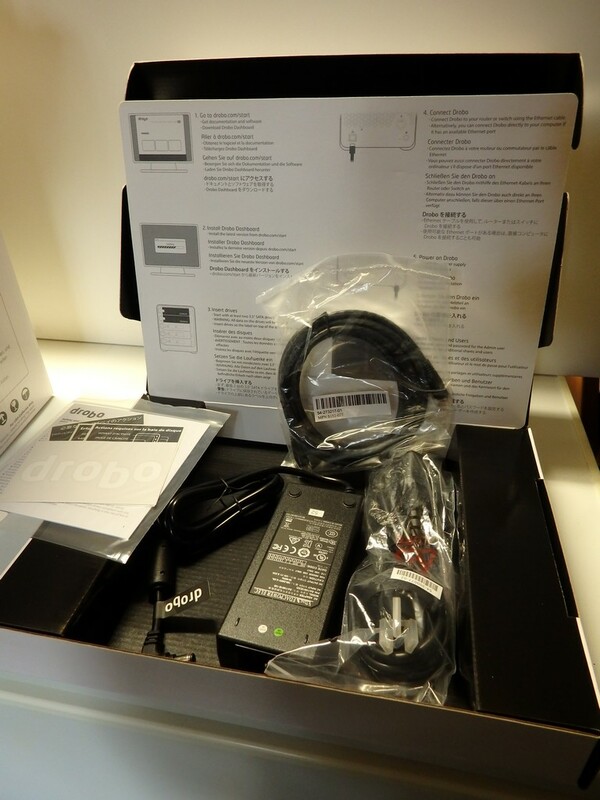 You can define which users and shares are active for external remote access and it doesn’t matter if your up address changes because Drobo manage the connection. 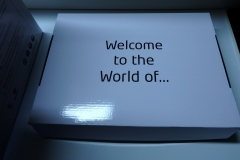 Our testing of this is still ongoing but so far the remote access speed has been limited by our domestic upstream connection so keep that in mind if you are looking for your own personal privately hosted ‘cloud’. 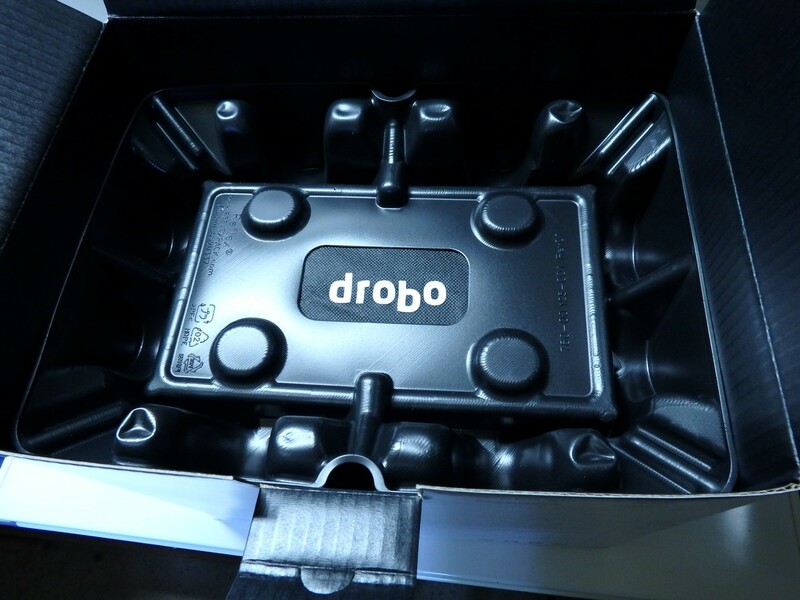 As stated earlier, you can feed Drobo whatever you have available, even replace smaller drives with larger ones without losing your data but be careful doing this and follow instructions. 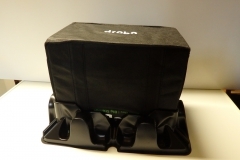 The Drobo website has a capacity calculator that lets you drag and drop disks into a virtual Drobo and it tells you the actual capacity you be able to achieve. There are a couple of things that you can’t do and these shouldn’t be an issue for the average consumer but might be a turn off for enthusiasts or control freaks who like to tweak. You can’t set up limits for shares to partition up the storage pool or stop one ‘share’ from filling up the array. 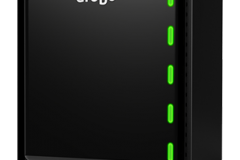 This is a bit of a bummer and whilst monitoring capacity is easy, the Drobo application doesn’t show you where all your space is being consumed. You can’t manually define the disk array setup. There are 5 bays and all drives are added to the same pool. You can’t set up the array to have disks 1 and 2 in a RAID 1 mirror with the other 3 disks setup in a RAID 5. 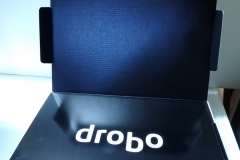 Instead, Drobo simplifies the process and protects your data in the same consistent way. This makes it easier for support because there is one standard involved. 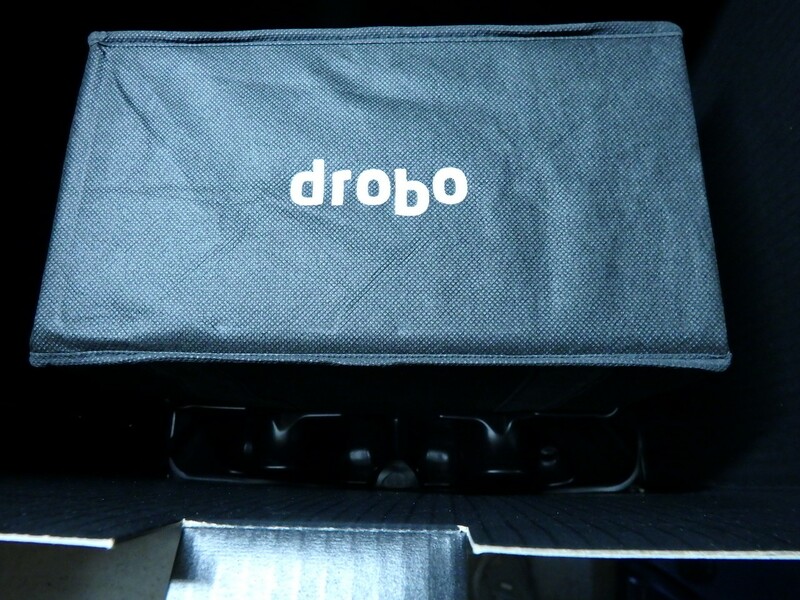 What’s the key strength of the Drobo? In a word – Simplicity. 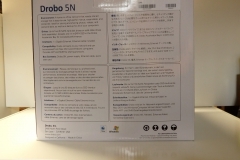 The Drobo 5N is great if you are looking for networked storage and just want it to work. It makes what could otherwise be a complex and daunting process something that anyone with basic technical ability can knock over in a couple of hours.